Sounds Season Ticket Memberships provide families, companies, and fans like you with the best seating locations, experience, amenities and benefits First Tennessee Park has to offer! 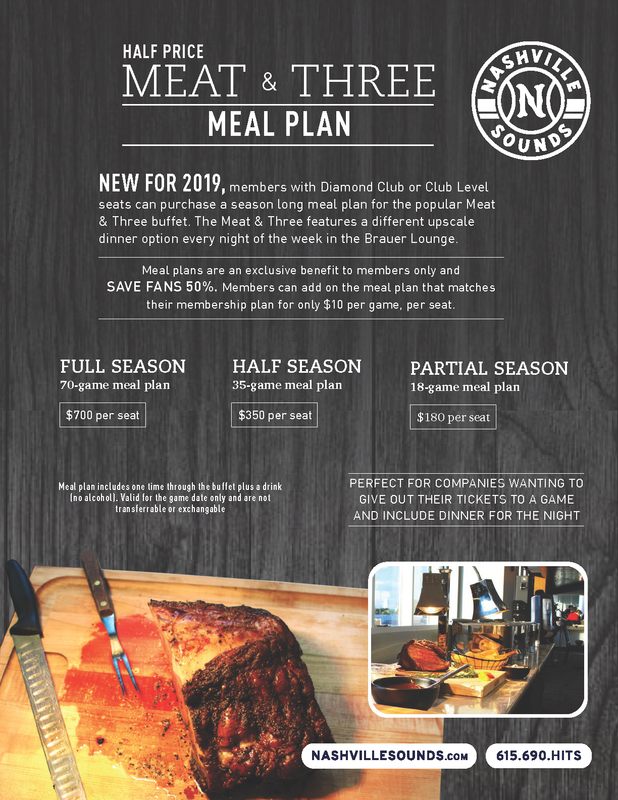 Whether enjoying baseball in downtown Nashville, dining on a pre-game meal in the Brauer Lounge, entertaining your customers and employees, or building a tradition with your family and friends: the best way to experience Sounds baseball is as a Season Ticket Member! Simply click on a membership plan below to see a detailed seating chart, and pricing options. Whether enjoying ______, earning once-in-a-lifetime experiences as a member of the Red Sox Rewards program (offered exclusively to Season Ticket Holders), dining on a pre-game meal in the Royal Rooters Club (Membership required), entertaining your customers and employees, or building a tradition with your family and friends the best way to experience Red Sox baseball is as a Season Ticket Holder! Memberships for 2018 include new and improved benefits. The best seats at the best price. Flexible ticket exchange policy. Free parking. Convenient online account management. Team Store discounts. And much more. Simply click on a membership category below to see additional benefits and price points. In-seat wait service provided to our Club Level members. Take your Nashville summers to the next level as a Sounds' Season Ticket Member! Full list of benefits below. Members receive up to 45% off single game ticket pricing. Season Ticket Members receive free parking beside the ballpark. Exclusive invitation to V.I.P. member events like batting practice on the field! Receive 15% off all purchases at Sounds Pro Shop. Enjoy discounts at restaurants around Germantown with special member card. Receive special Sounds-themed gifts throughout the year. Enjoy generous flexibility on exchanging unused tickets. Dedicated login for easy online ticket management. Opt for extreme comfort in the DEX Diamond Club, Club & Premium section seats.